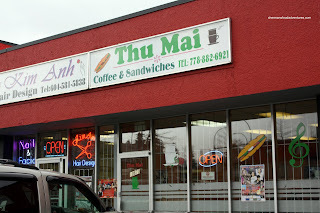 Awhile back, I attempted to pick up some banh mi from a little shop right next to Pho T&A in Whalley. However, for some reason or another, I morphed into the next coming of Shaggy and even food couldn't entice me to go in there. Maybe it's just me, but there were a group of men playing cards and smoking like chimneys which just made me feel unsettled. Thus, I ended up going to New Town instead. Today, I pulled up my big boy socks and decided to give it another go. Hey, I'm a pretty big guy. Maybe if I go in with intention and a scowl on my face, I could look intimidating. Yah right, I think I look as intimidating as E rkel in an MMA tournament. Whatever the case, I walked in like I meant to. 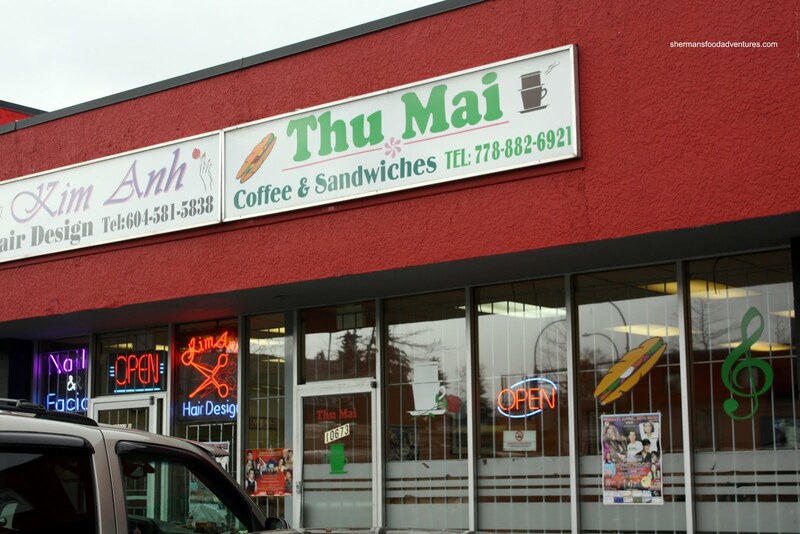 Ordered 3 banh mi. Sat down and didn't make eye contact. It's funny how there is this big sign that says "No Smoking", while the air in there was slowly resembling the LA skyline. 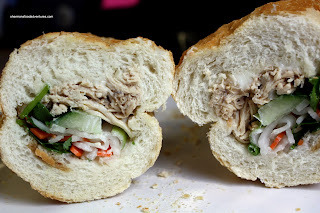 As for my banh mi, it took quite a long time and I had to sit nervously for roughly 8 minutes or so. Once I got my order, I quickly left reeking of Export A Gold. In one piece, while probably losing 3 years of my life from second-hand smoke, I made my way back to work. 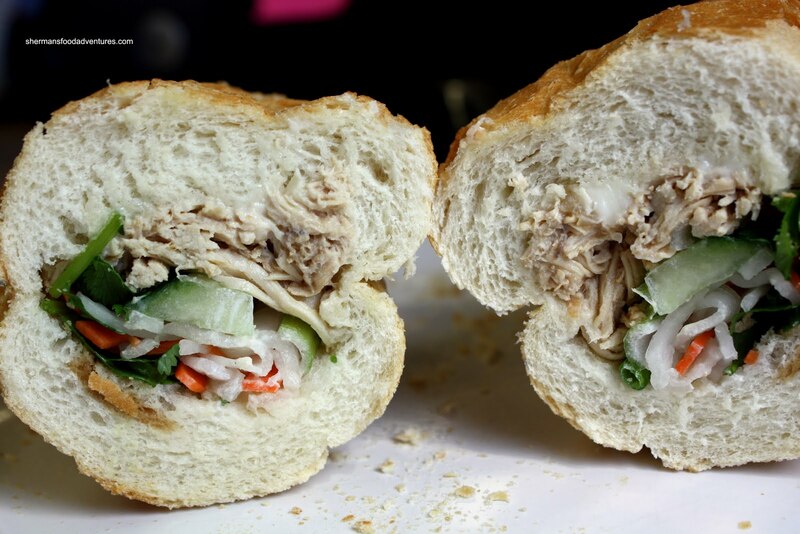 Of course I had to take pictures of my sandwiches; but I had to go straight into a meeting. Thus, it was a gong show of sorts, where I had to take a picture of the sandwiches really quickly and bringing them in to meeting. Yah, food takes precedent over everything else. What can I say? 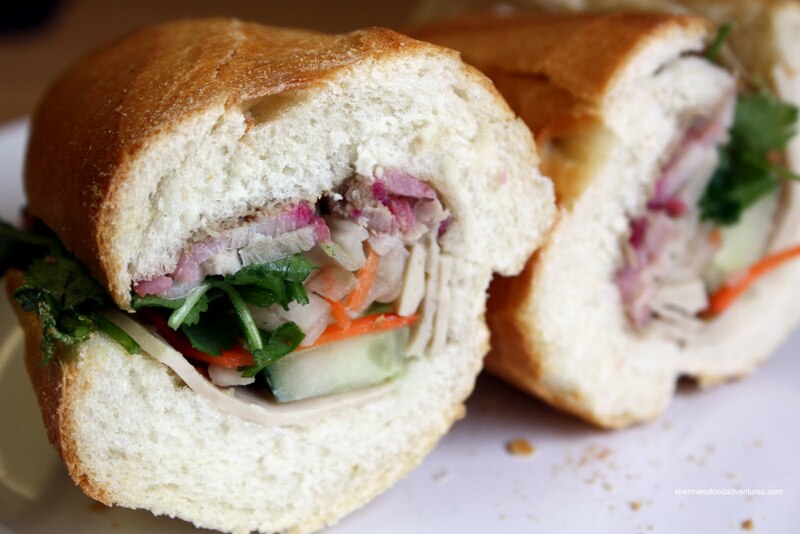 I decided to go for 3 subs with the first being the Cold Cut. 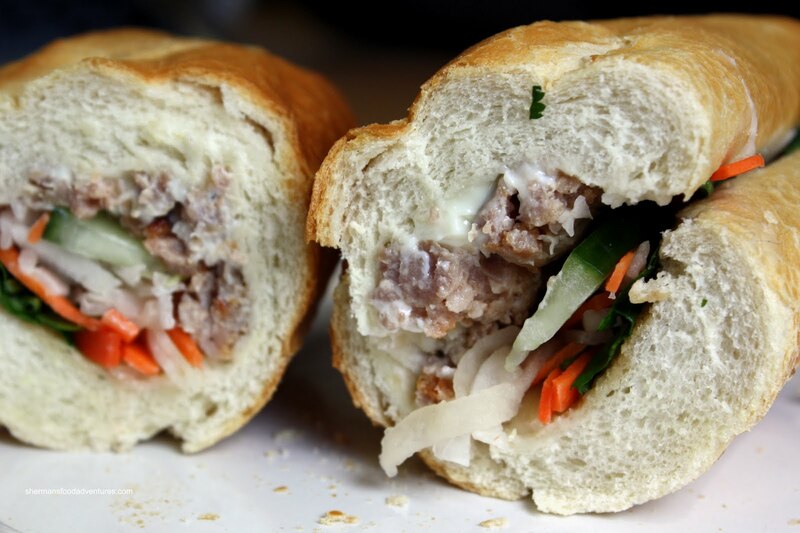 With good amount of meat and crisp daikon, carrot and cucumber, this had all the potential for a good sandwich. However, it's quite obvious from the pictures that the bread is too dense. Not that it wasn't crusty on the outside; but it was too doughy on the inside. Flavourwise, it could've used more pate, although there was plenty of fish sauce. Ignoring the bread, the Meatball sub was quite good with a decent amount of strongly onion-flavoured meat. The Shredded Chicken suffered from being too dry. The meat was a bit stringy and lacking flavour. Possibly, even more fish sauce and mayo-butter could've saved it. Honestly, these were some pretty average banh mis. Not horrible; yet not something I would necessarily ache to eat again. But, there isn't much in the way of competition nearby, so it is a viable option... If you are brave enough that is.